Pacific Dunes’ thirteenth is a 444 yard par 4. Pacific Dunes Golf Course Review and Appreciation Pacific Dunes at Bandon Dunes Golf Resort. Grade: … Read more. Bandon Trails Golf Course Review And Appreciation Bandon Trails at Bandon Dunes Golf Resort Grade: … Read more. Bandon Dunes Golf Course Review and Appreciation Bandon Dunes Golf Course Grade: A Teacher’s … Read more. 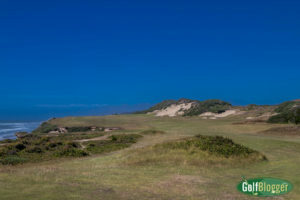 Old MacDonald Golf Course Review Old MacDonald Golf Course at Bandon Dunes Golf Resort … Read more.